Providing protecting covers is the most important function of any life insurance policy. Although the life insurance is considered as the little more amazing investment option these days as they are also providing the benefits of availing the loan against the life insurance policies. Lower rates would be charged in the case of life insurance as compared to the personal loans, the life insurance is being the talk of the town because of nominal rates. Nowadays, it is just not about providing the security but also helping when a person is lacking in cash. The most important benefit of loan against life insurance policies is that the value of the policy does not change with the change of market as in the event of gold or silver or shares it changes frequently with the change in the market. It is important to confirm whether the policy is qualifying for a loan first and foremost, also the insurance policy is not providing the benefits. Anyone can take the loan against the surrender value of any insurance except the life insurance. The term plans don’t contain the cash value and will automatically expire at the end of the month without the earning returns as a limitation. If you are paying premiums since last 3 years on time it means that you can avail a loan as far as non-term plans go. You are borrowing a loan from yourself when you go to have a loan against an insurance policy. Money could be borrowed for any kind of expenses without giving any explanation, in this case, you will not go under tight security or hard and fast process. The income of the borrower is not the factor in deciding the eligibility. All you need to check is the amount of your eligibility with the insurance company or the bank. The amount of loan is supposed to be the percentage of its surrender value. The loan can be around the value of 85-90% against the traditional plans with the guaranteed returns on it. It is not possible that all the unit-linked policies will provide you loan facilities, but if they do so the value of the amount of loan depends on the most current value of the types of fund and corpus. Here it is important to note that once the loan amount is decided, only then the policy will be assigned to the lender. In this case, all the rights of the policy will transfer to the lender and the loan will then be sanctioned to the borrower. It will not be taxable as the amount of loan is not recognized as the income by the authorities of the Income Tax department. The rate of interest charged in the event of loan against insurance is purely based on the premium that is already paid and the total number of the premiums that have to pay. The rate of interest could be charged low if the more premium amount and a number of premiums are paid. Base rates are linked with the rate of interest by the bank in most cases. The banks are considering loans of this nature like an overdraft facility against the pledge of insurance policy, it may vary in the comparison of the loan provided by Life insurance company. Usually, the rate of interest of the bank is between 10-14%, all on the basis of the types of insurance and the tenure. The current rate of interest of LIC is 9% that must be paid after half of the year is passed or the half-yearly. The minimum time period is 6 months, so if you want to pay the loan before 6 months you have to pay the interest of 6 months. The policyholder should have to inform the insurance company to request information about the process and documents needed. A form has to be filled by the willing policyholder and the original insurance policy have to be submitted. Holder must sign a deed of assignment in which the benefits of the policy are being allotted to the lender during the loan tenure. The policy will be collateral until the loan is paid again. Policyholders should continue paying the premiums if they are taking a loan against a life insurance. In case if a policyholder forebear from doing the same, the insurers would terminate the policy. The loan must be repaid between the terms of the policy. In this case, the Policyholder has the option of repaying the interest or the principle with interest only. If a person is paying only interest the amount of principal will be reduced from the claim amount during the time of settlement. In case the policyholder decides to repay the interest only, and die during the loan term, the pending amount will be taken from the claim amount and the remaining part will return to the nominee. A fact should be kept in mind while taking any policy that is dependent on the policyholder will not be the sole beneficiaries of the policy in case a policyholder dies unexpectedly before the loan is paid. So policyholder should be very careful while taking a loan against the life insurance policy as the policy is for the claiming for someone’s life. 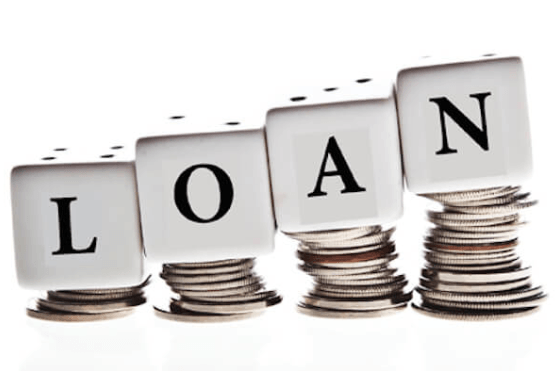 The nominee could be deprived of the loan if the policy is used to take up a loan. So that’s why it is important to pay back the loan during the time period as the interest will continuously add to the balance whether the loan is again paid or not. This might increase the risk of the loan amount exceeding the cash value of the Policy which can also lapse the policy. In this case, taxes will not be paid in cash value. In case of non-payment of the loan, the amount will be taken from the surrender value of the policy and the policy will be terminated.